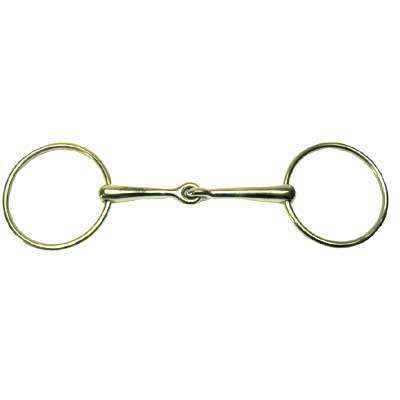 This is a lightweight loose ring snaffle. The loose ring style provides for movement of the mouthpiece on the ring,which usually relaxes the jaw and increases chewing of the bit. The single joint creates a snapping action of the rings and the mouthpiece.3'' rings.10mm.